Last year was our busiest at the Netherlands Embassy Ottawa in the past 20 years, with a significant increase of documents to be legalised, due to changes in Netherlands citizenship rules that had many scrambling to meet a dead line. As each client had their own test to obtain the correct documents it was pleasure to extend our experience to ease the stress of the process. With many requiring an updated birth certificate or marriage certificate, due to processing rules, our office became convenient when ordering online with vital statistics to have it sent directly to us to save time. This proved to be a great benefit to anyone currently living outside Canada, see our article on how we assist expats. 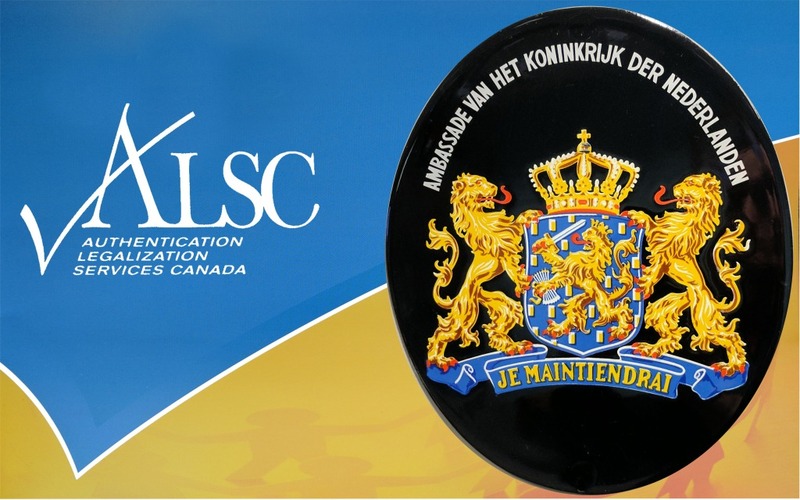 Although the Netherlands is home of the Hague Apostille Convention, in order for a document to be accepted it must follow the country of origins process which for Canada is the authentication and legalization process. What does this mean? Once the correct document has been obtained the first step of authentication can take place at Global Affairs Canada here in Ottawa. Although Global Affairs Canada authenticates documents in 25 business days or longer we shorten this process to either 1, 3 or 10 business days depending on your time line and budget. See more about our authentication services and how we assist you. Once the document has been authenticated it can now be legalized by the embassy. Although there are Netherlands Consulate Generals in Toronto and Vancouver any document can be processed at the embassy in Ottawa, which to save our clients extra fees and time we prefer to do. Interesting note in my title you will see “Legalisation” and “Legalization” as the Netherlands spells the service either way, of course both mean the same thing. After meeting with the embassy consular section on your behalf the document will be legalized and ready for presentation in the Netherlands, also being the equivalent to an Apostille certificate. For the return or forwarding of your completed sensitive document we always recommend a secure way such as Xpresspost or FedEx. Find out how we can assist with our shipping made easy. 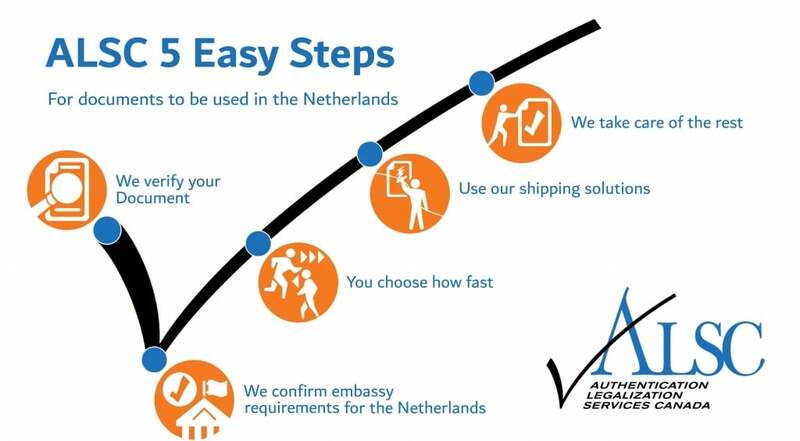 If you need Authentication and Legalization or information about Apostille in the Netherlands we can help.